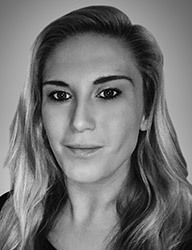 15/04/2019 National commercial property and investment company LCP has hired a new property manager for its London office. 11/04/2019 The landlord of the main shopping square in Maghull is hoping that flower power will reign this year after it agreed to water dozens of planters throughout the summer for the award-winning Maghull in Bloom. 05/04/2019 Two new tenants have been signed up for an Oxfordshire shopping centre, just two months after national commercial property and investment company LCP acquired it. 05/04/2019 A furniture store is to open its third shop, after taking the former PoundWorld site in Wishaw. 02/04/2019 Three roadside retail units have been built at a busy industrial estate in the Black Country - and the first one is already occupied. 29/03/2019 Runners are being urged to sign up for the biggest midweek 10k race in the country, which takes place in the Black Country in May. 19/03/2019 More than 200 bargain lovers queued to get through the doors of new discount retailer One Below at the Hardshaw Centre in St Helens at the weekend. 18/03/2019 Concourse Kitchen, the street food court at Concourse Shopping Centre in Skelmersdale, has signed up its second tenant. 07/03/2019 An industrial unit in Glenrothes, Fife, which has lain empty for 12 months, has been brought back to life after its new owners completed a £170,000 refurbishment and modernisation programme. 27/02/2019 Commercial property and investment company LCP has added a new retail development to its growing portfolio in Scotland. 21/02/2019 Commercial property and investment company LCP has added a new retail development to its growing portfolio in Scotland. 15/02/2019 We’re delighted to welcome JLR Live Lounge – an upmarket bar and restaurant – to our retail parade in Royton, Oldham. 07/02/2019 The Arcadian, Birmingham’s premium leisure destination, is gearing up for this year’s amazing Chinese new year celebrations. 06/02/2019 The Macmillan Cancer Information and Support Bus is heading to Macclesfield later this month (February 2019) as part of its mission to provide advice and support in the community. 18/01/2019 An award-winning independent gym is pumped up for expansion in Scotland, with the opening of a new £1.2 million centre in Glenrothes. 15/01/2019 One of the UK’s largest prom dress and ballgown specialists is heading to the Black Country to open the biggest shop in its retail history. 14/01/2019 A broken clock tower in Taunton town centre has been restored to full working order as part of a £400,000 refurbishment of a riverside scheme that has lain empty for 20 years. 03/01/2019 LCP, the national commercial property and investment company, has appointed a new property manager as it continues to grow its Scotland office.